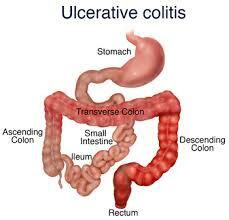 Ulcerative colitis also called ‘colitis ulcerosa’ literally means inflammation of the colon. It is a type of inflammatory bowel disease involving the largest portion of the intestines. It has the characteristics of sores or ulcers causing long standing inflammation of the digestive tract. Ulcerative colitis can lead to life threatening circumstances. It usually affects the innermost lining of the colon. Ulcerative colitis can show exacerbated symptoms and at times no symptoms at all. The onset of the disease is slow and can be triggered in a person who is gullible to environmental elements. Dietary alterations can actually help release the discomfort. Crohn’s disease is an associated sister condition of ulcerative colitis. It is treated as an auto-immune disease with anti-inflammatory drugs and immunosuppressant. 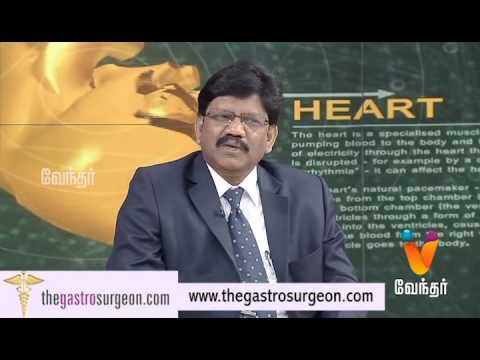 If the disease is severe a partial or total colectomy is advised. All symptoms outlined here may vary according to severity. Blood tests: Blood tests are done to check if there are enough red blood cells to carry oxygen to the tissues and for any signs of infection. Colonoscopy :A thin, flexible tube with a light and camera at its tip is inserted into the colon to collect samples of affected tissue to be viewed under a microscope. Stool tests: Stool tests are done to check indications for bacterial and viral infections. The white blood cells present in the stools can also indicate ulcerative colitis. Flexible sigmoidoscopy: The sigmoid is examined by inserting a long, thin, flexible lighted tube. This test is mainly performed when the colon is inflamed and a colonoscopy may not be possible. CT Scan: A CT scan of the abdomen and pelvis is done to check for inflammation of the small intestine. It will also reveal the extent to which the colon is inflamed. X-ray: Serious complications such as a colon perforation can be identified through standard x-rays of the abdomen.